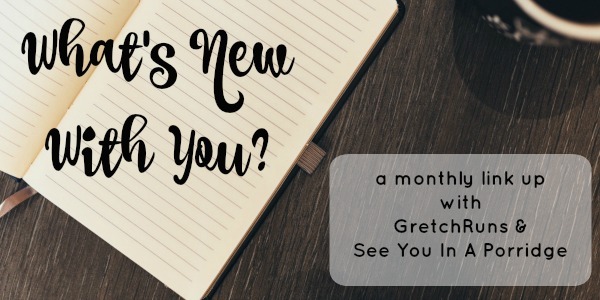 Time for another What's New With You link up with Gretch & I! It's actually our one year anniversary of doing this link up, isn't that nifty? Time flies when you're having fun, right? 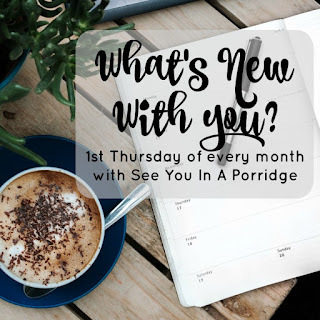 Thanks to everyone who has linked up with us, I have loved reading your posts each month. So lets get to it shall we? No real rules, all we ask is that you link back to us somewhere in your post - easy peasy. I'll be doing another monthly recap, though there isn't much to recap this month. I had high hopes for January. I never expect to wake up January 1st and have my life completely change. I know it's not the flick of the switch and I have to do the work if I want something to change. But, I still had big dreams in my head of this will be my year. I am gonna eat healthy, exercise, lose weight, save money, pay off debt, be happy and do all the things. 2017 started off great. My blahs from December were gone - a fresh clean slate does wonders for my soul. Unfortunately, in the first week of January I got horrible news. I've mentioned it previously, but something happened to someone back home and it's been quite hard. Thankfully, things are improving every day. There's still a long road ahead and we have no idea of the long term repercussions yet, but I am feeling more optimistic and confident. All that being said, I did things in January. I read some books, ran with my friend, did my first spin class in 4 years. KC hurt his back and we had to go to the ER (he's okay) and we celebrated birthdays. I didn't take any photos for a few weeks though. Just wasn't feeling it, so I don't have much to share. A girl at work got me a gift - a kitty notebook & bookmark. and Chelsea was a weirdo. I mentioned this fish back in August but I couldn't remember what it was called, only that it was in a box in the freezer section... and then Costco didn't have it for MONTHS LIKE HOW RUDE IS THAT but they finally brought it back and here it is, it's delicious. So yep, that's what's new with me. Not much! I'm hoping with things improving as well as they are at home and February being birthday month, normal will find its way back to me soon. It's always hard when things happen back home and you can't be there. I'm lucky that I don't live as far from my home. I'm glad to hear things are improving though, and I hope February is an amazing month to make up for all the worry of January. How is this link up already a whole year old? That's insane!! Well happy anniversary to the link up! And let's hope February will just turn this year around! Only good things allowed from here on out! Good tilapia is hard to come by. I understand your pain because I used to get this delicious stuff from the commissary, but that is no longer an option.. Meh. I'll have to try this if I see it. Spin class is like getting punched in the crotch. I did not like it. February is a great month! It's BIRTHDAY MONTH!!!! I'm sorry about what's going on at home, and hope things look up soon! I will be thinking of you!! Hugs! I need to try that tilapia! I know fish is good for you but I feel like it never tastes good when I make it-- so this might be the solution! Your kitty notebook is awesome! I'm sorry January was NOT awesome for you. You've done a great job of just hanging in there and staying strong in accepting the crappy hand life has handed you. Sometimes we just have to get through it and there's no upside. Hoping February and your birthday will be MUCH BETTER. The book hangover definition is perfect. I hope birthday month will be far better than January! Glad to hear that things are at least looking better. I haven't been to a spin class in so long, I remember being totally exhausted afterwards but also feeling really accomplished! Hope February brings you lots of good things. Sorry for what's going on - can't imagine how hard it is being so far from home. Thinking of you and hope this is a great month for you! I've kept you in my thoughts about your home situation! Continually sending love and peace and good thoughts. Here's to a fabulous birthday month! Mmm, that fish looks delicious. January is just feeling like 2016's 3rd cousin... the genes are still there. 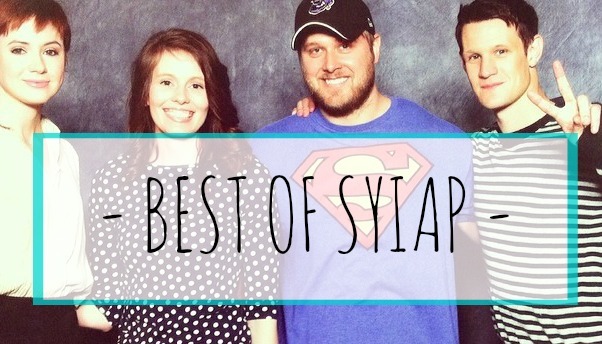 I can't believe this linkup has already been going for a year! It's always one of my favorites, so I'm so glad you guys started it. Ahh so sorry to hear about KC hurting his back, but glad he is okay! That cat notebook and bookmark are so cute and so you! I hate when you find something you love at the store and then they stop carrying it, so glad you found the fish again! I know that January hasn't been the best month for you and I am hoping that you get some awesome news from home that will turn everything around!!! That is a super sweet present from your coworker! Here's to a great February and Birthday Month! Happy birthday linkup! Happy birthday to you for next month! I do hope things continue in a positive direction. I cooked tilapia once but absolutely butchered it and it was gross, which put me off trying again. Maybe I need to give it a second chance. To be honest you could put a lot of things in a parmesan crisp and I'd love it, so maybe that's where I'm going wrong! Ohh that tilapia sounds so good - I need to find that! Do they sell it in regular stores (aka not Costco because I'm too cheap to have a membership lol)? Also, your cats are so cute!! I hope everything is OK and that you all are doing well. They have a Costco opening up soon nearby and I am so excited! I've never been in one as the closest one to me is over 2 Hour Drive away but I am super excited to get in there and see what they have. I will be checking out that fish for sure! Keep the faith and hang in there! Cute notebook, btw! Happy Anniversary for this linkup, too! I know 2017 started supremely sucky for you but hopefully the worst is behind you and things get better for you and your loved ones back home. Sending you love and positive energy! 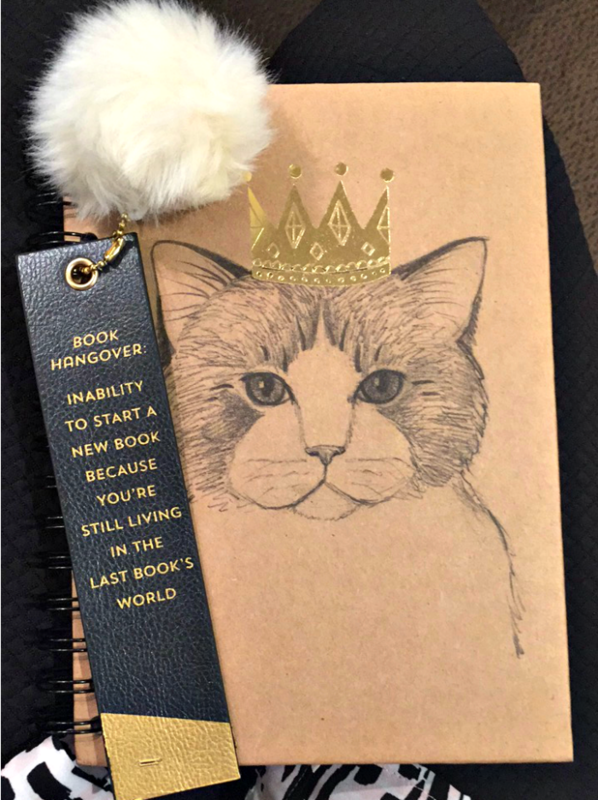 That kitty notebook is freaking fabulous because hell ya cats are royalty! 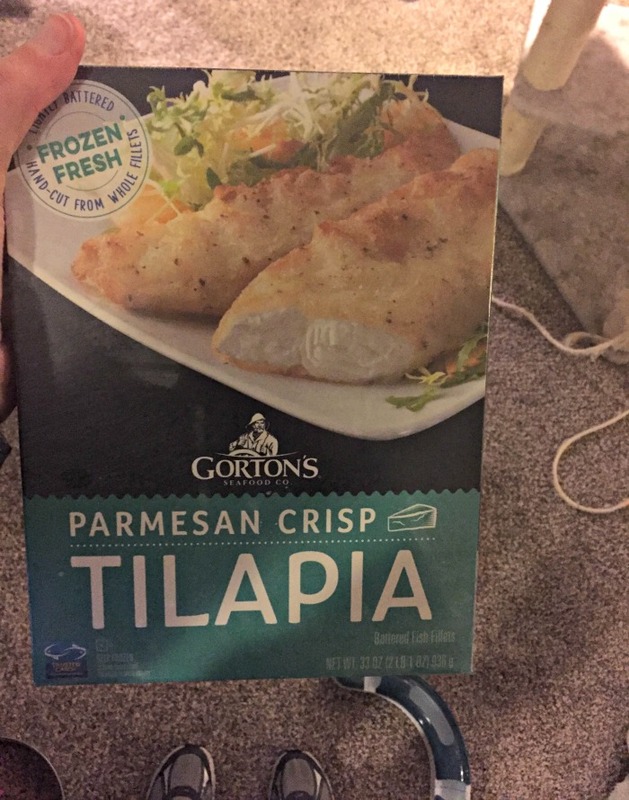 Tilapia? Seriously? Girl, you're adorable! I was expecting something like Argentinian whatever and it's tilapia. I eat that stuff weekly. Soo good right?! I hope all mends and heals quickly back home. And I love this link up. Forgot to post this month but it's definitely one of my faves. Happy anniversary to this link up! Thanks again for hosting it :) I hope February is a better month for you! I generally approach January with a bunch of goals to be better, healthier, etc, but this year I couldn't so it seems weird. Oh well! No reason I can't start that in March ;) That tilapia looks delicious - I will have to see if Canadian costco carries it (ha, doubtful!). Like Brie, I'm going to check if we can get that tilapia here in Canada! Sorry January was a bummer month in so many ways but here's to good news and fun in February! Wow, I didn't realize it was the one year anniversary of the link up.... Yay! I look forward to this one every month. Still thinking about you with everything that you have going on, but I'm glad that things are starting to get better! I love that bookmark that your friend got you! It describes me so perfectly sometimes! I hope your February is so much better than your January, friend. So sorry to hear things have been tough!!! Hopefully February is the month where it continues to improve and get lots better. And happy link up anniversary - so glad I have found this one! Wow, it's been a year already? How time flies! Love that bookmark! How true is it, right?! Oh friend, you deserve a much better February after all you've been through, especially with it being birthday month! Woohoo! Love that bookmark. Chelsea is just so adorable. I can't remember if I've asked you this lately-have you started house hunting, or are you waiting for a bit? I'm sorry to hear about what's happenig back home - its so hard to be far away in those situations. Hope February is a better month! I truly hope your February is better than January. Love and best wishes to you and loved ones back home. I'm so sorry about your news about a loved one. that is never easy and my thoughts are with you. xoxoxo hugs. Chelsea is beautiful. The notebook and bookmark are awesome! That notebook and bookmark are SO perfect for you! I need that tilapia!! Adding to my Costco trip for this weekend! Hello Kristen! 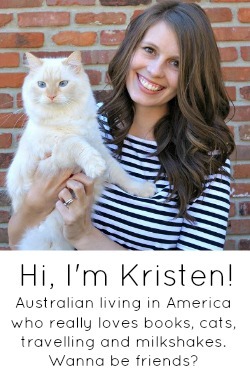 I just discovered your blog via Rachel @ Nesting Nomad, and am so glad I did! Thanks for hosting such an interesting link-up, it's a nice break from usual travel link-ups. 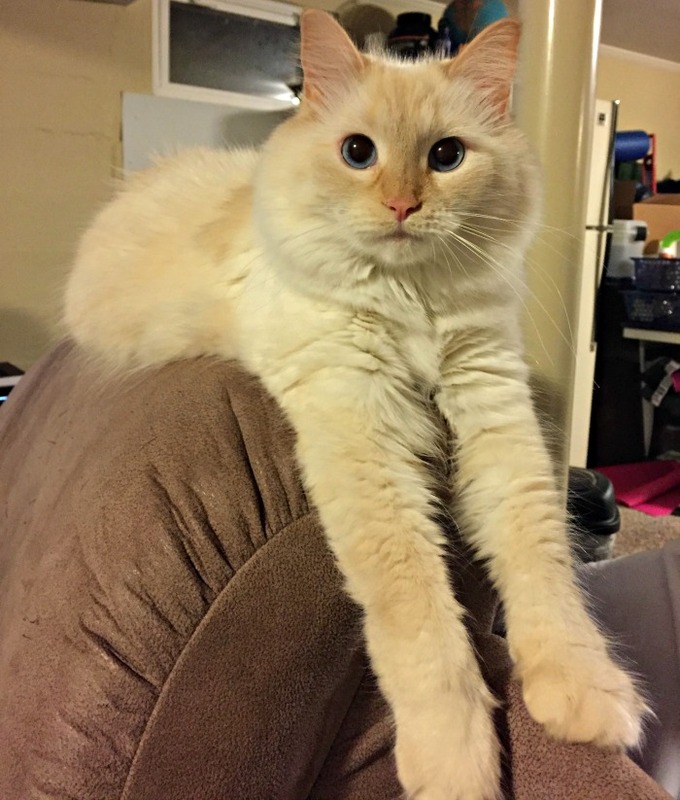 Your cat is absolutely adorable! As for tilapia, I really like it, it's light and very healthy. I usually steam eat, and put it in a tomato & basil cream sauce over spaghetti. Usually turns out really good. Let me know if you are interested and I'll gladly share the recipe. Sometimes, I just like to write January off as a chance to regroup from the last year and then begin the year in February. Well, at least that's what I'm saying to justify all the hibernating I have done for the last two months. Here's to hoping that February is a better month! I'm glad to hear KC is okay! We couldn't find the tilapia on our last trip to Costco either, ugh! ooh I need to check out that fish and of course, love the notebook! sorry to hear about your sad news. I hope everything at home works out ok! Oh man. I'm sure you were feeling terribly helpless and sad. I'm glad things have started turning around a bit. I hope February is filled with good news and health and adventure and relaxation for you guys!! Glad that things are getting better day by day. That notebook and bookmark are so YOU. So sorry to hear that you had bad news at the beginning of January. I hope it turns out ok. So far 2017 has completely sucked... but I'm trying to stay positive that the rest of the year will not be as grim. So sorry to hear that things aren't great back home, keeping you and your family in my thoughts! I need to try that fish. I've never cooked fish on my own, but I think I could get down with some Gordon's. And that book hangover is so true- I usually need a day or two between picking up a new book. Yay for birthday month! Here's hoping february is way better! I love that book hangover bookmark! I'm sorry you've been going through a rough bit, but I'm hoping your Feb is much better. And now I've got to find this fish and try it out. And yes it's only 7am!! I always love your cat photos - they are sooo photogenic!